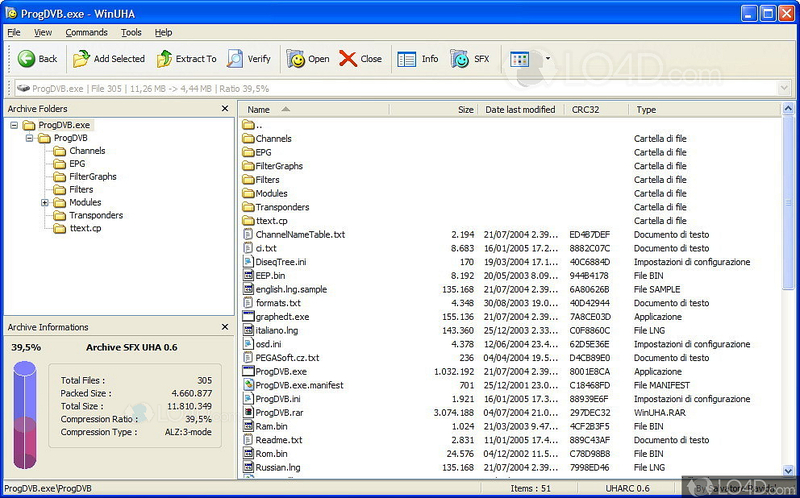 WinUHA is a very powerful file compression utility which provides a useful user interface for access to its main controls. It supports custom command line, temporary extraction folders, a translation engine, a very modern user interface and complete integration with the Windows Shell! The application is still useful, even though development of WinUHA stopped some time in 2005. WinUHA is licensed as freeware for the Windows (32-bit and 64-bit) operating system / platform from file archivers without restrictions. WinUHA 2.0 RC1 is available to all software users as a free download (Freeware). Compatibility with this file compression software may vary, but will generally run fine under Microsoft Windows 10, 8, 8.1, 7, Vista and XP on either a 32-bit or 64-bit setup. A separate x64 version may be available from Salvatore Ravid. This download is distributed as WinUHA 2.0 RC1 (2005.02.27).exe. 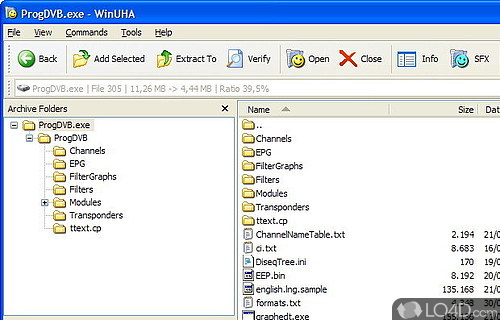 We have tested WinUHA 2.0 RC1 against malware with several different programs. We certify that this program is clean of viruses, malware and trojans. 5 out of 5 based on 7 ratings.